- Double Magnet High Gauss Energized. 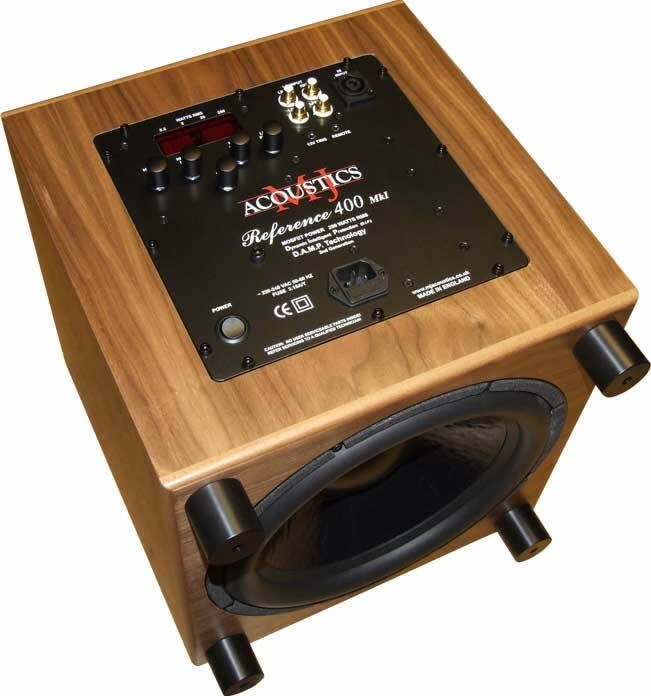 The MJ Acoustics Reference 400 MkI is a feat of audio engineering, with the muscle and power to deliver stunningly rich bass response for even the largest of AV systems. Reaching down to a gut-wrenching 10Hz, the Reference 400 MkI outputs serious SPL with refinement and grip, as expected from an MJ Acoustics product. Setup is a breeze thanks to digital displays confirming all your settings and the out-of-sight remote control and remote eye receiver. The Reference 400 was painstakingly designed from the ground up - featuring twin crossovers, 250W of power, a newly developed 12" driver. 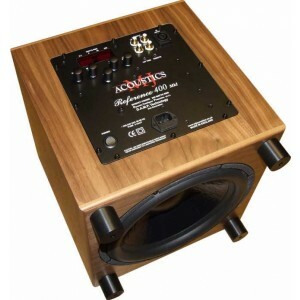 Somehow, MJ Acoustics have been able to cram these innovations into a compact cabinet of just 345mm cubed. The Reference 400 is engineered and voiced to integrate with a wide range of speakers, from discreet satellites to towering floorstanders, and with a bass output which can reach 10hZ, the Reference 400 can really add to the lower octaves of your system and soundstage. The special ultra long-throw super-rigid 12" sub-bass driver is a rugged design and finish, and is perfectly fed by a 250W MOSFET amplifier. On top of state-of-the-art electronics and premium components, the Reference 400's tuned cabinet is hand-built from furniture grade real wood veneer, and the finish is as premium as the performance! Deep and powerful for movie sound-tracks, yet subtle, agile, fast musically accurate for the highest fidelity in music listening. It’s just like being there!